More book goodness out this week for us bibliophiles to feast on! 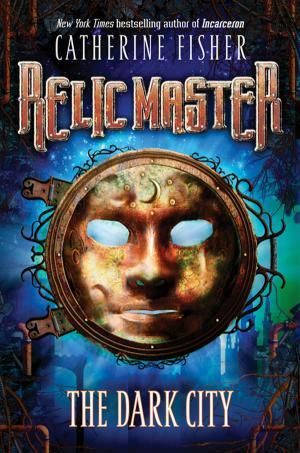 Today we’ve got samples from China Mieville’s newest book Embassytown, and Catherine Fisher’s Relic Master: The Dark City. Fans of Incarceron are predicted to enjoy this new series. The first six chapters are available in PDF form on Scribd. China Miéville doesn’t follow trends, he sets them. 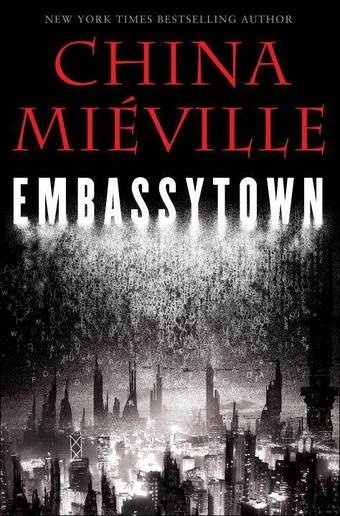 Relentlessly pushing his own boundaries as a writer—and in the process expanding the boundaries of the entire field—withEmbassytown, Miéville has crafted an extraordinary novel that is not only a moving personal drama but a gripping adventure of alien contact and war. The Prologue and part of chapter one are below! The children of the embassy all saw the boat land. Their teachers and shiftparents had had them painting it for days. One wall of the room had been given over to their ideas. It’s been centuries since any voidcraft vented fire, as they imagined this one doing, but it’s a tradition to represent them with such trails. When I was young, I painted ships the same way. I looked at the pictures and the man beside me leaned in too. ‘Look,’ I said. ‘See? That’s you.’ A face at the boat’s window. The man smiled. He gripped a pretend wheel like the simply rendered figure. ‘You have to excuse us,’ I said, nodding at the decorations. ‘No, no,’ the pilot said. I was older than him, dressed-up and dropping slang to tell him stories. He enjoyed me flustering him. ‘Anyway,’ he said, ‘that’s not…It is amazing though. Coming here. To the edge. With Lord knows what’s beyond.’ He looked into the Arrival Ball. There were other parties: seasonals; comings-out; graduations and yearsends; the three Christmases of December; but the Arrival Ball was always the most important. Dictated by the vagaries of trade winds, it was irregular and rare. It had been years since the last. Diplomacy Hall was crowded. Mingling with the embassy staff were security, teachers and physicians, local artists. There were delegates from isolated outsider communities, hermitfarmers. There were a very few newcomers from the out, in clothes the locals would soon emulate. The crew was due to leave the next day or the one after: Arrival Balls always came at the end of a visit, as if celebrating an arrival and a departure at once. A string septet played. One of the members was my friend Gharda, who saw me and frowned an apology for the unsubtle jig she was halfway through. Young men and women were dancing. They were licensed embarrassments to their bosses and elders, who would themselves, to their younger colleagues’ delight, sometimes sway or turn a humorously stilted pirouette. By the temporary display of children’s illustrations were Diplomacy Hall’s permanent hangings; oils and gouaches, flat and trid photographs of staff, Ambassadors and attachés, even Hosts. They tracked the city’s history. Creepers reached the height of the paneling to a deco cornice, spread into a thicket canopy. The wood was designed to sustain them. Their leaves were disturbed by thumb-sized vespcams hunting for images to transmit. A security man I’d been friends with years before waved a brief greeting with his prosthesis. He was silhouetted in a window metres high and wide, which overlooked the city and Lilypad Hill. Behind that slope was the boat, loaded with cargo. Beyond kilometres of roofs, past rotating church-beacons, were the power stations. They had been made uneasy by the landing, and were still skittish, days later. I could see them stamping. ‘That’s you,’ I said, pointing them out to the steersman. ‘That’s your fault.’ He laughed but he was only half-looking. He was distracted by pretty much everything. This was his first descent. I thought I recognised a lieutenant from a previous party. On his last arrival, years before, it had been a mild autumn in the embassy. He’d walked with me through the leaves of the highfloor gardens and stared into the city, where it had not been autumn, nor any other season he could have known. I walked through smoke from salvers of stimulant resin, and said goodbyes. A few outlanders who’d finished commissions were leaving, and with them a tiny number of locals who’d requested, and been granted, egress. But she knew that communication would be so difficult it would end. We hugged until she, at least, was a little teary, and laughing too, saying, ‘You of all people, you must know why I’m off,’ and I was saying, ‘I know, you cow, I’m so jealous!’ I could see her thinking, You chose, and it was true. I’d been going to leave, until half a year before, until the last miab had descended, with the shocking news of what, who, was on the way. Even then I’d told myself I’d stick to my plan, head into the out when the next relief came. But it was no real revelation to me when at last the yawl had crossed the sky and left it howling, and I’d realised I was going to stay. Scile, my husband, had probably suspected before I did that I would. ‘When will they be here?’ asked the pilot. He meant the Hosts. ‘Soon,’ I said, having no idea. It wasn’t the Hosts I wanted to see. Ambassadors had arrived. People came close to them but they didn’t get jostled. There was always space around them, a moat of respect. Outside, rain hit the windows. I’d been able to ascertain nothing of what had been going on behind doors from any of my friends, any usual sources. Only the top bureaucrats and their advisors had met our most important, controversial newcomers, and I was hardly among them. People were glancing at the entrance. I smiled at the pilot. More Ambassadors were entering. I smiled at them, too, until they acknowledged me. The city Hosts would come before long, and the last of the new arrivals. The captain and the rest of the ship’s crew; the attachés; the consuls and researchers; perhaps a few late immigrants; and the point of all this, the impossible new Ambassador. When we were young in Embassytown, we played a game with coins and coin-sized crescent offcuts from a workshop. We always did so in the same place, by a particular house, beyond the rialto in a steep-sloping backstreet of tenements, where advertisements turned in colours under the ivy. We played in the smothered light of those old screens, by a wall we christened for the tokens we played with. I remember spinning a heavy two-sou piece on its edge and chanting as it went, turnabout, incline, pigsnout, sunshine, until it wobbled and fell. The face that showed and the word I’d reached when the motion stopped would combine to specify some reward or forfeit. I see myself clearly in wet spring and in summer, with a deuce in my hand, arguing over interpretations with other girls and with boys. We would never have played elsewhere, though that house, about which and about the inhabitant of which there were stories, could make us uneasy. Like all children we mapped our hometown carefully, urgently and idiosyncratically. In the market we were less interested in the stalls than in a high cubby left by lost bricks in a wall, which we always failed to reach. I disliked the enormous rock that marked the town’s edge, which had been split and set again with mortar (for a purpose I did not yet know), and the library, the crenellations and armature of which felt unsafe to me. We all loved the collegium for the smooth plastone of its courtyard, on which tops and hovering toys travelled for metres. We were a hectic little tribe and constables would frequently challenge us, but we needed only say, ‘It’s alright sir, madam, we have to just . . .’ and keep on. We would come fast down the steep and crowded grid of streets, past the houseless automa of Embassytown, with animals running among us or by us on low roofs and, while we might pause to climb trees and vines, we always eventually reached the interstice. At this edge of town the angles and piazzas of our home alleys were interrupted by at first a few uncanny geometries of Hosts’ buildings; then more and more, until our own were all replaced. Of course we would try to enter the Host city, where the streets changed their looks, and brick, cement or plasm walls surrendered to other more lively materials. I was sincere in these attempts but comforted that I knew I’d fail. We’d compete, daring each other to go as far as we could, marking our limits. ‘We’re being chased by wolves, and we have to run,’ or ‘Whoever goes furthest’s vizier,’ we said. I was the third-best southgoer in my gang. In our usual spot, there was a Hostnest in fine alien colours tethered by creaking ropes of muscle to a stockade, that in some affectation the Hosts had fashioned like one of our wicker fences. I’d creep up on it while my friends whistled from the crossroads. See images of me as a child and there’s no surprise: my face then was just my face now not-yet-finished, the same suspicious mouth-pinch or smile, the same squint of effort that sometimes got me laughed at later, and then as now I was rangy and restless. I’d hold my breath and go forward on a lungful through where the airs mixed, past what was not quite a hard border but was still remarkably abrupt a gaseous transition, breezes sculpted with nanotech particle-machines and consummate atmosphere artistry, to write Avice on the white wood. Once on a whim of bravado I patted the nest’s flesh anchor where it interwove the slats. It felt as taut as a gourd. I ran back, gasping, to my friends. ‘You touched it.’ They said that with admiration. I stared at my hand. We would head north to where aeoli blew, and compare our achievements. A quiet, well-dressed man lived in the house where we played with coins. He was a source of local disquiet. Sometimes he came out while we were gathered. He would regard us and purse his lips in what might have been greeting or disapproval, before he turned and walked. We thought we understood what he was. We were wrong, of course, but we’d picked up whatever we had from around the place and considered him broken and his presence inappropriate. ‘Hey,’ I said more than once to my friends, when he emerged, pointing at him behind his back, ‘hey.’ We would follow when we were brave, as he walked alleys of hedgerow toward the river or a market, or in the direction of the archive ruins or the Embassy. Twice I think one of us jeered nervously. Passers-by instantly hushed us. ‘Have some respect,’ an altoysterman told us firmly. He put down his basket of shellfish and aimed a quick cuff at Yohn, who had shouted. The vendor watched the old man’s back. I remember suddenly knowing, though I didn’t have the words to express it, that not all his anger was directed at us, that those tutting in our faces were disapproving, at least in part, of the man. ‘They’re not happy about where he lives,’ said that evening’s shiftfather, Dad Berdan, when I told him about it. I told the story more than once, describing the man we had followed carefully and confusedly, asking the Dad about him. I asked him why the neighbours weren’t happy and he smiled in embarrassment and kissed me goodnight. I stared out of my window and didn’t sleep. I watched the stars and the moons, the glimmering of Wreck. I can date the following events precisely, as they occurred on the day after my birthday. I was melancholic in a way I’m now amused by. It was late afternoon. It was the third sixteenth of September, a Dominday. I was sitting alone, reflecting on my age (absurd little Buddha! ), spinning my birthday money by the coin wall. I heard a door open but I didn’t look up, so it may have been seconds that the man from the house stood before me while I played. When I realised I looked up at him in bewildered alarm. ‘Girl,’ he said. He beckoned. ‘Please come with me.’ I don’t remember considering running. What could I do, it seemed, but obey? His house was astonishing. There was a long room full of dark colours, cluttered with furniture, screens and figurines. Things were moving, automa on their tasks. We had creepers on the walls of our nursery but nothing like these shining blackleaved sinews in ogees and spirals so perfect they looked like prints. Paintings covered the walls, and plasmings, their movements altering as we entered. Information changed on screens in antique frames. Hand-sized ghosts moved among pot-plants on a trid like a mother-of-pearl games board. ‘Your friend.’ The man pointed at his sofa. On it lay Yohn. ‘Yohn, it’s me, Avice.’ After a silence I patted Yohn on the shoulder. ‘I’m here. You’ll be alright, Yohn.’ My concern was quite real. I looked up for more instructions, and the man shook his head and laughed. ‘Just hold his hand then,’ he said. ‘What happened, sir?’ I said. Poor Yohn looked very sick. I knew what he’d done. Yohn was the second-best southgoer in our group. He couldn’t compete with Simmon, the best of all, but Yohn could write his name on the picket fence several slats further than I. Over some weeks I’d strained to hold my breath longer and longer, and my marks had been creeping closer to his. So he must have been secretly practicing. He’d run too far from the breath of the aeoli. I could imagine him gasping, letting his mouth open and sucking in air with the sour bite of the interzone, trying to go back but stumbling with the toxins, the lack of clean oxygen. He might have been down, unconscious, breathing that nasty stew for minutes. ‘They brought him to me,’ the man said again. I made a tiny noise as I suddenly noticed that, half-hidden by a huge ficus, something was moving. I don’t know how I’d failed to see it. It was a Host. It stepped to the centre of the carpet. I stood immediately, out of the respect I’d been taught and my child’s fear. The Host came forward with its swaying grace, in complicated articulation. It looked at me, I think: I think the constellation of forking skin that was its lustreless eyes regarded me. It extended and reclenched a limb. I thought it was reaching for me. I did so and the man smiled. He squatted beside me, put his hand on my shoulder. Together we looked up at the strangely moving presence. ‘Little egg,’ he said, kindly. ‘You know it can’t hear you? Or, well . . . that it hears you but only as noise? But you’re a good girl, polite.’ He gave me some inadequately sweet adult confection from a mantlepiece bowl. I crooned over Yohn, and not only because I was told to. I was scared. My poor friend’s skin didn’t feel like skin, and his movements were troubling. The Host bobbed on its legs. At its feet shuffled a dogsized presence, its companion. The man looked up into what must be the Host’s face. Staring at it, he might have looked regretful, or I might be saying that because of things I later knew. Of course I’d seen its like many times. Some lived in the interstice where we dared ourselves to play. We sometimes found ourselves facing them, as they walked with crablike precision on whatever their tasks were, or even running, with a gait that made them look as if they must fall, though they did not. We saw them tending the flesh walls of their nests, or what we thought of as their pets, those whispering companion animal things. We would quieten abruptly down in their presence and move away from them. We mimicked the careful politeness our shiftparents showed them. Our discomfort, like that of the adults we learned it from, outweighed any curiosity at the strange actions we might see the Hosts performing. We would hear them speak to each other in their precise tones, so almost like our voices. Later in our lives a few of us might understand some of what they said, but not yet, and never really me. I’d never been so close to one of the Hosts. My fear for Yohn distracted me from all I’d otherwise feel from this proximity to the thing, but I kept it in my sight, so it could not surprise me, so when it rocked closer to me I shied away abruptly and broke off whispering to my friend. They were not the only exoterres I’d seen. There were exot inhabitants of Embassytown – a few Kedis, a handful of Shur’asi and others – but with those others, while there was strangeness of course there was never that abstraction, that sheer remove one felt from Hosts. One Shur’asi shopkeeper would even joke with us, his accent bizarre but his humour clear. Later I understood that those immigrants were exclusively from species with which we shared conceptual models, according to various measures. The indigenes, in whose city we had been graciously allowed to build Embassytown, Hosts were cool, incomprehensible presences. Powers like subaltern gods, which sometimes watched us as if we were interesting, curious dust, which provided our biorigging, and to which the Ambassadors alone spoke. We were reminded often that we owed them courtesy. Pass them in the street and we would show the required respect, then run on giggling. Without my friends though I couldn’t camouflage my fear with silliness. ‘It’s asking if the boy’ll be alright,’ the man said. He rubbed his mouth. ‘The Hosts found him.’ I could tell the man was trying to speak gently to me. He seemed unpractised. ‘They can come here but they know we can’t leave. They know more or less what we need.’ He pointed at the Host’s pet. ‘They had their engines breathe oxygen into him. Yohn’ll maybe be fine. The constables’ll come soon. Your name’s Avice. Where do you live, Avice?’ I told him. ‘Do you know my name?’ I’d heard it of course. I was unsure of the etiquette of speaking it to him. ‘Bren,’ I said. ‘Bren. That isn’t right. You understand that? You can’t say my name. You might spell it, but you can’t say it. But then I can’t say my name either. Bren is as good as any of us can do. It . . .’ He looked at the Host, which nodded gravely. ‘Now, it can say my name. But that’s no good: it and I can’t speak any more.’ ‘Why did they bring him to you, Sir?’ His house was close to the interstice, to where Yohn had fallen, but hardly adjacent. ‘They know me. They brought your friend to me because though as I say they know me to be lessened in some way they also recognise me. They speak and they must hope I’ll answer them. I’m . . . I must be . . . very confusing to them.’ He smiled. ‘It’s all foolishness I know. Believe me I do know that. Do you know what I am, Avice?’ I nodded. Now, of course, I know that I had no idea what he was, and I’m not sure he did either. The constables at last arrived with a medical team, and Bren’s room became an impromptu surgery. Yohn was intubated, drugged, monitored. Bren pulled me gently out of the experts’ way. We stood to one side, I, Bren and the Host, its animal tasting my feet with a tongue like a feather. A constable bowed to the Host, which moved its face in response. ‘Thanks for helping your friend, Avice. Perhaps he’ll be fine. And I’ll see you soon, I’m sure. “Turnaround, incline, piggy, sunshine”?’ Bren smiled. While a constable ushered me out at last, Bren stood with the Host. It had wrapped him in a companionable limb. He did not pull away. They stood in polite silence, both looking at me. At the nursery they fussed over me. Even assured by the officer that I’d done nothing wrong, the staffparents seemed a little suspicious about what I’d got myself into. But they were decent, because they loved us. They could see I was in shock. How could I forget Yohn’s shaking figure? More, how could I forget being quite so close up to the Host, the sounds of its voice? I was haunted by what had been, without question, its precise attention on me. ‘So somebody had drinks with Staff, today, did they?’ my shiftfather teased, as he put me to bed. It was Dad Shemmi, my favourite. Later in the out I took mild interest in all the varieties of ways to be families. I don’t remember any particular jealousy I, or most other Embassytown children, felt at those of our shiftsiblings whose blood parents at times visited them: it wasn’t in particular our norm there. I never looked into it but I wondered, in later life, whether our shift-and-nursery system continued social practices of Embassytown’s founders (Bremen has for a long time been relaxed about including a variety of mores in its sphere of governance), or if it had been thrown up a little later. Perhaps in vague social-evolutionary sympathy with the institutional raising of our Ambassadors. No matter. You heard terrible stories from the nurseries from time to time, yes, but then in the out I heard bad stories too, about people raised by those who’d birthed them. On Embassytown we all had our favourites and those we were more scared of, those whose on-duty weeks we relished and those not, those we’d go to for comfort, those for advice, those we’d steal from, and so on: but our shiftparents were good people. Shemmi I loved the most. It’s disgusting, some of my friends later said. They’d learnt this attitude from less liberal shiftparents. Nasty old cripple should go to the sanatorium. Leave him alone, I’d say, he saved Yohn. Yohn recovered. His experience didn’t stop our game. I went a little further, a little further over weeks, but I never reached Yohn’s marks. The fruits of his dangerous experiment, a last mark, was metres further than any of his others, the initial letter of his name in a terrible hand. ‘I fainted there,’ he would tell us. ‘I nearly died.’ After his accident he was never able to go nearly so far again. He remained the second-best because of his history, but I could beat him now. ‘How do I spell Bren’s name?’ I asked Dad Shemmi, and he showed me. ‘Bren,’ he said, running his finger along the word: seven letters; four he sounded; three he could not.